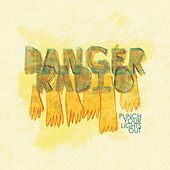 Claiming a small obsession with the Jonas Brothers, Seattle-based pop-rock sextet Danger Radio started out as a teenage punk-grunge act after its two founding members met in 1999 while in middle school. Puerto Rico native Andrew de Torres and Finland native Nico Hartikainen began jamming together while attending school in Everett, Wash., just north of Seattle. After entering a few small talent shows, the duo added bassist Marvin Kunkle to the mix, and Danger Radio were born. Eventually, the trio added three more musicians, and its youthful punk sound began to develop into more refined teenage pop-rock territory. The band self-released its first album, The Difference Between Love and Envy, in 2006 and followed that up with Punch Your Lights Out and Used and Abused in 2008. 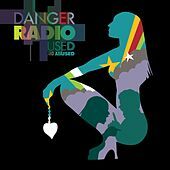 Danger Radio have said they are influenced by Justin Timberlake, Stevie Wonder and Michael Jackson, though listening to their music brings to mind bands like Green Day, Maroon 5 and Hellogoodbye.